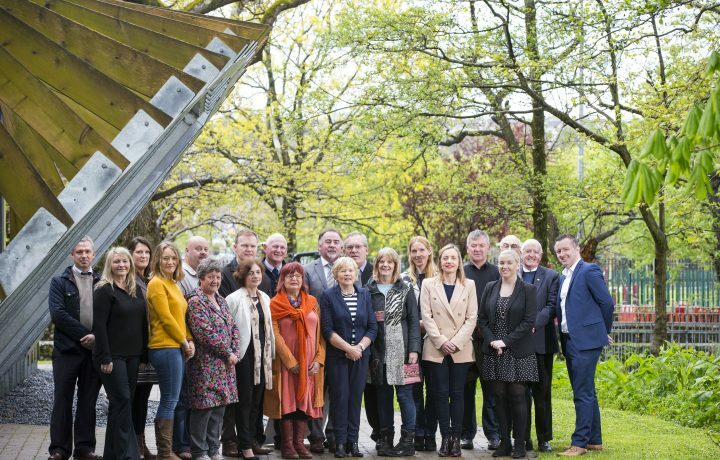 (11 May) Today marks the announcement of fourteen LEADER projects in communities overseen by SECAD Partnership CLG across South and West Cork. The fourteen projects awarded funding were identified as most in need of support under the LEADER programme 2014-2020 which is co-funded by the EU and the Irish government. LEADER supports rural development projects and initiatives under the key themes of Economic Development, Social Inclusion and Rural Environment. South & West Cork LCDC/LAGs (Committees of Cork County Council) are responsible for the approval of projects under the LEADER Programme. Working in partnership with SECAD Cork County LCDCs/LAGs are delighted to see these projects come to fruition. As an Implementing Partner of the LEADER programme, SECAD Partnership has supported project promoters in each local community to ensure project ambitions are realised for the benefit of rural communities. Finbarr Harrington, Chair of the West Cork LCDC said ‘’We are delighted to announce the funding for these community led projects today, projects that have great potential to promote sustainable development for rural communities across County Cork. Ryan Howard, CEO of SECAD said ‘’SECAD Partnership uses a ‘bottom-up’ or community-led local development approach to bring about positive change in rural areas through training and up-skilling in communities and in supporting individuals, businesses and communities to access the required funds for their business / development projects. The LEADER award of €380,000 to local communities will have a positive spin off for the rural economy and will result in an overall investment of close to €750,000 across those areas. ‘’We are committed to keeping up this pace of allocating funds for eligible projects in the remaining half of 2018, so I would encourage anyone with new ideas to contact SECAD and other Local Development Companies across the area to develop those project ideas’’ said Michael Hegarty, Chair of the South Cork LCDC. LEADER is financed through the European Agricultural Fund for Rural Development will bring a total of €250 million worth of grant aid to rural Ireland from 2014-2020 of which €13.9M has been allocated to Cork County. Individuals, businesses, social enterprises and community groups are eligible and invited to apply for LEADER funding. Cobh Summer Swing has brought event organisers in Cobh together to purchase a marquee and sound system which will be available to event organisers for a range of festivals and community groups in Cobh. Critically, the marquee will enable Cobh town to protect festivals and events against adverse weather conditions, reduce running costs of events, and extend the festival season beyond the summer months. This project will install a new lift for disabled access to second floor of the Family Resource Centre building. The lift will ensure the centre is fully-accessible for the whole community and will help to promote social inclusion. A new playground will be developed in Dungourney village adjacent to the local primary school. It will help to actively promote physical activity through outdoor play in the growing community, and provide a social opportunity for new parents and families to meet other members of the local community. The Community Complex will remove and replace the existing roof system with a new, insulated roof system and upgrade the existing gutters and downpipes. This project will reduce running costs and maintenance costs of the complex and will provide the whole community with a building that is fit for purpose to continue to provide a safe, comfortable environment for community members. Sirius Arts Centre is upgrading facilities to enable the centre to produce a diverse and high quality artistic programme and increase community participation. The project includes the installation of a black-out system to facilitate screenings and exhibitions, purchase of scaffolding tower for art installations, and the upgrading of audio visual equipment to improve capabilities for film installation/cinematic experiences. This project involves the first phase of the development of a youth public park including landscaping and development of a pond area with wheelchair accessible pathways, landscaping, planting and a public seating area. This project will help to promote outdoor activity and exercise, improve the town and environs, and provide an attractive outdoor amenity area for the local community including a growing youth population. The Community Council will purchase a new, modern lighting system for Aghada community hall stage to enable the delivery of high quality music and drama productions. This project aims to meet the increased social and cultural needs in the community, strengthen community spirit and encourage people of all ages to have an interest in and enjoy cultural events.